“The percentage of patents that are owned by women in the USA is rather small (eight percent) so I felt very triumphant and that I had made a unique mark in the world." Alison Read is an Advanced Practice Nurse who created FreezeFrames® Cool Care Eyewear, designed to “nurse” problem eye areas. The idea came to her after a treatment that required ice therapy for swelling. Her patented invention lists Alison as first to conceptualize stylish sunglasses as a dual-purpose device to not only provide 100% UV protection, but also to deliver cooling eye-area therapy. The Gel-Pad attachments magnetically click into place within the FreezeFrames casing and are anatomically engineered to target zone-specific problematic eye areas. Alison says obtaining the patent for FreezeFrames is one of her proudest accomplishments. 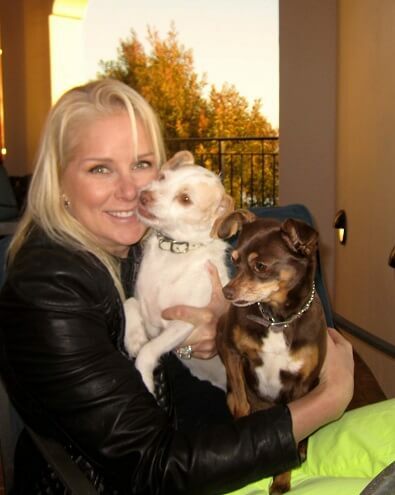 In her spare time, Alison enjoys running and spending time with her three rescue dogs: Sir Knuckles McKracken (Doberman), Flea Biscuit (Jack Russel), and T-Rex (chihuahua mix). She is also an avid golfer and boasts a single-digit handicap. In her former life, she dated Prince Albert of Monaco for six years.